CHILDREN’S LIVES ARE being put ‘at risk’ over a lack of nationwide out-of hours mental health services, according to one TD. Speaking to TheJournal.ie, Deputy James Browne said that he understands that there are at least 15 counties without an out-of-hours CAMHS (children and adolescent mental health service) team, though he is waiting on the HSE to confirm the exact number. “What you have effectively with the way the services are done at the moment is you have a ‘postcode situation’ where young children and young adolescents who need mental health services out of hours depend on whether they are in [a specific] county. There is no question this is putting children’s lives at risk,” said Browne, who is Fianna Fáil Spokesperson on mental health. He wants the Government to move to adequately staff mental health services for children. In its CAMHS corporate plan 2015 – 2017, the HSE says that ”arrangements must be put in place in each area that addresses out-of-hours presentations”. To engage with CAMHS, children and adolescents with a moderate to severe mental disorder must first be referred – by, for example, a GP, paediatrician, or Tusla – before going through the CAMHS triage system, then on to formal discussion or assessment by a psychiatrist. If the disorder is confirmed, an individual care plan is formulated. From there, the patient’s plan is put in regular review with a key worker and periodic review or discussion by a consultant. They may eventually be discharged to their GP. If a young person is to transition to adult mental health services, a transition plan is usually required. CAMHS services are generally Monday to Friday within office hours, with the on-call team in certain counties providing interim services at weekends or out of hours. This means that where an on-call team is available, a person accessing CAMHS services can present themselves at the emergency department and be assigned a psychiatrist who will have access to their personal files. They will then be referred to their own CAMHS team on the next working day. There are many examples of excellent work that are being carried out within community and in-patient CAMHS across the country. However, there are also examples of inconsistencies across services, specifically in the areas of waiting times, treatment times, scope of treatment options available, clarity of information available to families and the interface with other agencies both internal and external to the HSE. The HSE’s Mental Health Division is committed to ensuring that all aspects of CAMHS are delivered in a consistent and timely fashion, regardless of where the service is accessed throughout the country. However, Browne is critical of the fact that out-of-hours services are not available for CAMHS clients across the country. “New information which I have received sets out the enormous challenges facing our mental health services for children in particular,” he said. No on-call service is available in counties Wexford, Cavan, Monaghan, Sligo, Leitrim, Kerry, Carlow, Kilkenny, Tipperary, Meath, Longford, Westmeath, Laois, Offaly and Louth. This is shocking and clearly demonstrates the patchy nature of our mental health services. Questions have also been raised over the availability of on-call services in Donegal, Waterford and Clare. This represents vast swathes of the country which are left without an effective out-of-hours service. He described it as “vital” that the availability of out-of-hours mental health services for children is spread evenly across the country. “The Mental Health Commission has already highlighted that under-investment in services for children is one of the factors contributing to the continuing high number of admissions of children to adult psychiatric units. This practice is one which must come to an end. The delivery of 24-hour emergency services for children is fundamental in helping to achieve this,” he added. I have previously called for a considerable increase in recruitment to Child and Adolescent Community Mental Health Teams. The 2015 figures showed that they have just over half of the needed staff required under the policy, ‘A Vision for Change’. “We have to remember that in Ireland one in four of the population is under 18 years of age. It’s not good enough that the mental health services available to them continue to be under-resourced,” said Deputy Browne. 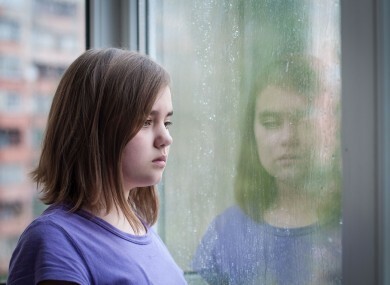 Brendan Kelly, Professor of Psychiatry at Trinity College Dublin and Consultant Psychiatrist, Tallaght Hospital, told TheJournal.ie that “it is imperative that children and adolescents have timely access access to age-appropriate mental health services”. This includes access to emergency assessment and treatment services from CAMHS teams, especially out of hours and at weekends, which is when many mental health crises occur. Youth mental health is an area in need of urgent attention, especially as rates of suicide in younger people in Ireland are so much higher than rates in similar age groups across other European countries. Browne said that those working in the mental health sector had told him that “very often the out-of-hours is when things become acute, when people need that urgent help and it’s not there”. Browne said his concern is that people who suffer mental health crises out of hours have to attend the emergency department, which he described as “not the place for people suffering from mental health problems” unless there is a dedicated unit for people. One of his constituents told him she had to tell a consultant her psychiatric issues while in a multi-bed ward “with only a curtain to separate her” from the other patients. She told me she withheld because she didn’t know who was behind those curtains, she didn’t want her family to know. Browne said that if there is an out-of-hours CAMHS service available, a person having a mental health crisis can talk to someone who is familiar with their file and situation. “It’s like any emergency situation. If you are in an acute situation, time is critical,” he said. Browne said that the Minister of State with responsibility for mental health, Helen McEntee, “needs to grapple with this” but said that Health Minister Simon Harris “controls the purse strings”. However, he noted that there had been a number of debates on the topic in the Dail recently. Email “Children's lives 'at risk' over lack of nationwide out-of-hours mental health services ”. Feedback on “Children's lives 'at risk' over lack of nationwide out-of-hours mental health services ”.